Neem is a multipurpose herb and because of its exceptional medicinal and healing properties, it is often referred to as ‘plant with a promise’. Neem is highly recommended for attaining a beautiful and glowing skin since ages. It has a multitude of skin benefits owing to their antimicrobial and anti-bacterial properties. It is an indispensible ingredient in the cosmetic industry and is often incorporated in soaps, face creams, face packs, face wash and even shampoos. 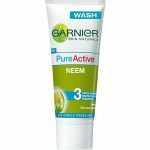 These are some of the best neem face wash available in Indian market. 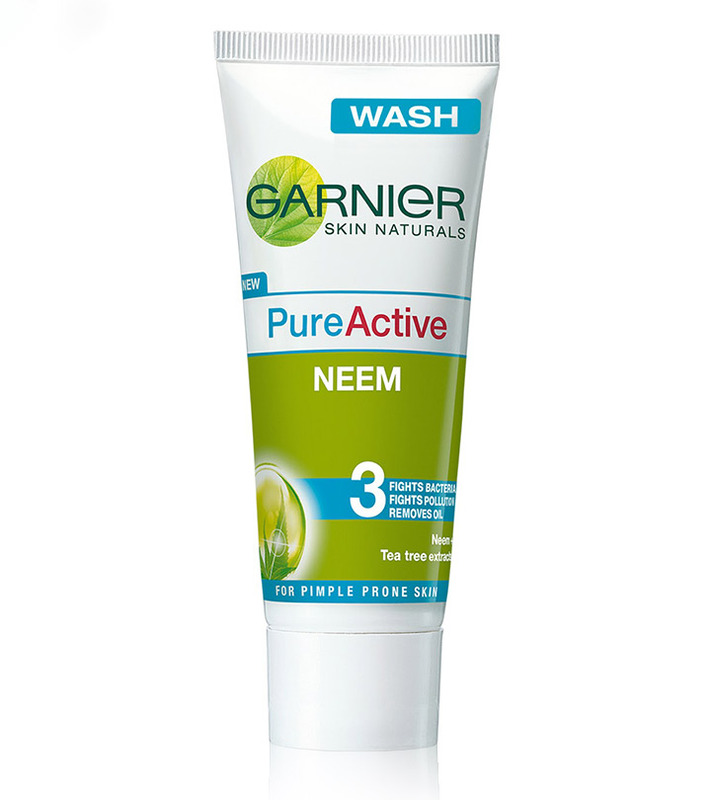 This is one of the best neem face wash you can get your hands on. This is a completely herbal face wash with no trace of Paraben, soap, alcohol, artificial colour and fragrance. 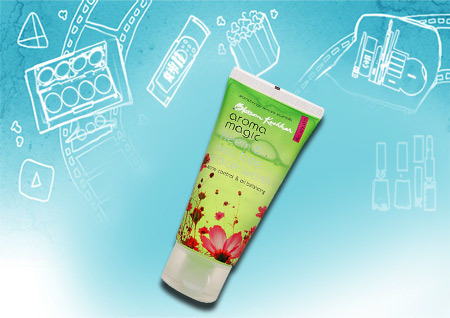 This fabulous face wash is enriched with rose and neem extracts which prevents black heads and soothes irritations. The vitamins present in it lighten the scars and improves skin tone. The face wash gives a squeaky feel even though it does not lather much. It removes every trace of dirt from the face. 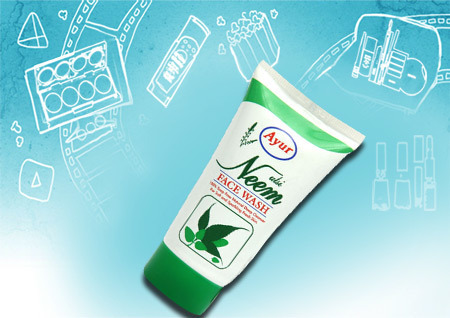 This is one of the most popular neem face wash in India. This wonderful face wash is enriched with the goodness of neem and turmeric which helps to eradicate pimple causing bacteria and prevents pimples from recurring. The turmeric in this face wash evens out the skin and gives a clear skin from within. The face washes lathers well and helps to get rid of all the impurities and dirt from the skin without leaving any slippery residue behind. 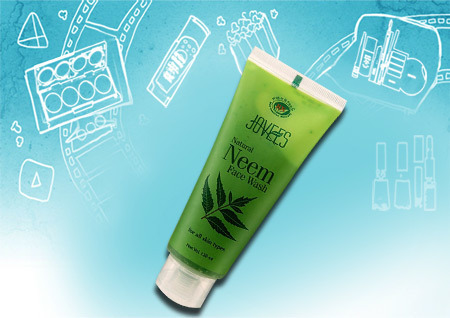 Jovees Natural Neem Face Wash is one of the best-selling products from Jovees. 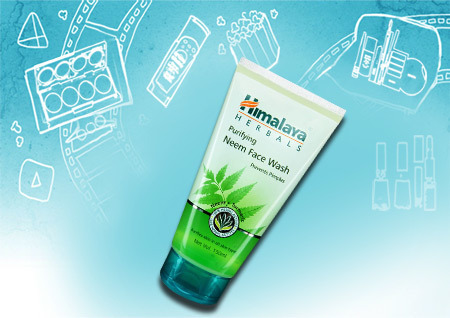 It contains natural neem extracts which makes it a suitable face wash for acne prone skin. It contains small green granules which cleanses the face squeaky clean and keeps it refreshed throughout the day. The face wash removes impurities, dull surface and improves skin complexion with regular usage. 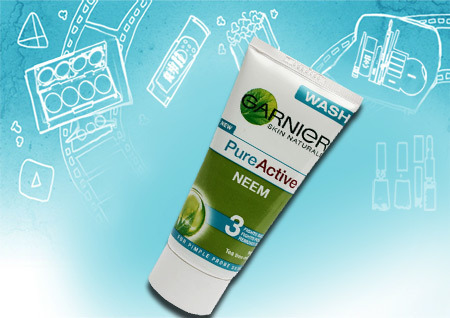 Garnier Skin Naturals Pure Active Neem Face Wash is specially formulated for pimple prone skin. 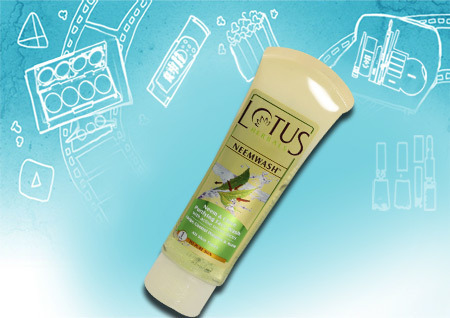 It contains neem and tea extracts which deep cleans the skin and washes away the impurities caused by pollution. The face wash foams well and removes excess oil that attracts dirt, germs and bacteria. 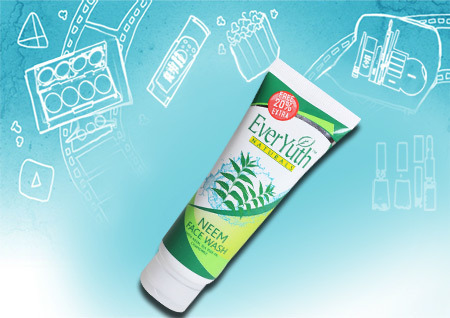 This neem face wash for acne has a very refreshing smell and does not dry out the skin after washing. Lotus Herbals Neem and Clove Purifying Face wash is enriched active neem slices and clove extracts which are well known for its anti-microbial properties. It helps to cure acne and other skin problems while clearing the skin of impurities at the same time. You just need to massage your skin gently with the face wash to get a squeaky clean skin. This face wash is enriched with the goodness of neem, tea tree oil and chamomile that controls oil secretion and removes pimple causing bacteria. Chamomile in this face wash soothes and moisturizes the skin and keeps it smooth and supple. This face wash has a gel like consistency which lathers really very well. It has soft granules which help to exfoliate the skin to get clear and clean complexion. It has a very refreshing smell and reduces acne with regular usage. This is a gentle, refreshing face wash ideal for pimple prone skin. This face wash contains aloe vera, lemon peel extracts and neem extracts which removes impurities from the skin without disrupting the moisture balance of the skin. It contains lemon peel extract which diminishes the acne and gives an even tone to the skin. 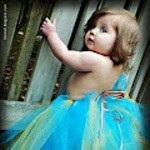 It does not dry out the skin post wash and keeps it moisturized for long hours. It has a refreshing smell which lingers for a while even after washing the face. 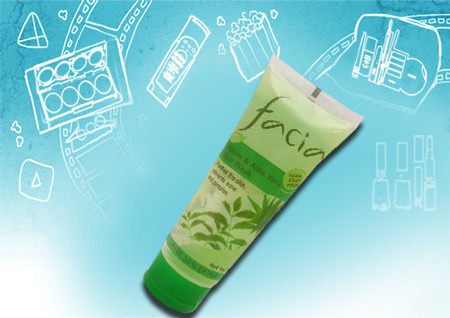 Facia neem face wash comes with the goodness of aloe vera and neem which clears the acne and gives a glowing skin tone. The face wash comes with a blend of essential oils which gives a soft and supple skin with regular usage. It even lightens the scars and controls oil sceretion to a great extent. 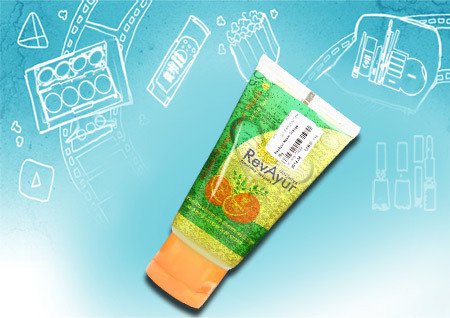 Revayur neem orange face wash is 100% soap free with the goodness of neem and orange peel which effectively cleanses the skin and cures acne and pimples. The orange rind power in this face wash refreshes, tones and restores the hydrophilic film and balances the skin’s pH level. The beads present in this face wash clean the skin off the dirt and dead skin. This face wash is enriched with Tulsi and neem extracts which are well known for their anti-fungal and anti-microbial properties. It mildly cleans the skin and removes excess oil and keeps skin infections at bay. The face wash cleans the face thoroughly and keeps it oil free for 4 hours.